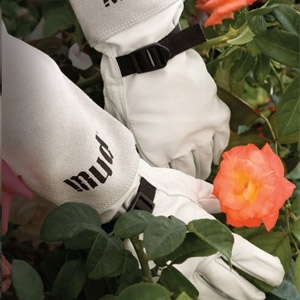 Ideal for working with thorned plants & heavy abrasive jobs. Goatskin leather provides natural lanolin. Extended cuff shields from thorns and branches. Cinch at the wrist to block debris.